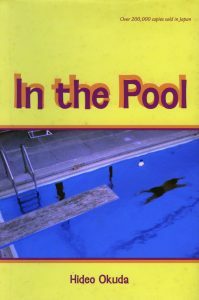 A divorced man angry at his wife finds a painfully prominent outlet in a permanent erection; a model thinks every man on the street is a stalker; an overbearing magazine editor relieves his mid-life crisis by long-distance swimming . . . These are some of the patients who descend to the basement consulting room of Doctor Ichiro Irabu, an obese, eccentric neurologist with an injection fetish, an Oedipus complex. and a pea-green Porsche. This collection of five wacky stories has been adapted for TV and the movies in Japan. Hideo Okuda won the prestigious Naoki Prize in 2004.